History, architecture, and flavor combine to bring you the most incredible Blue Ridge dining experience at The Black Sheep Restaurant. From the moment you walk up the marble steps, taking note of the pet friendly patio, and the door swings open to welcome you, there is no question that you are about to have a divine experience. From the attentive staff and thoughtful menu items, The Black Sheep is clearly not your average, ordinary run-of-the-mill dining establishment. It is in fact, an elevated, stylish, and classy restaurant that believes in fresh food that’s locally sourced and artfully prepared. Expect your taste buds to do jumping jacks! Seriously, Executive Chef Greg Cornelius is an absolute master with his culinary talents and abilities. He specializes in taking your favorite American fares and elevating them about twenty notches. For example, you may think a hamburger or meatloaf is an odd item to find in at fine dining restaurant, but once that first taste of meat crosses your lips, you will become a believer because it will be like no other you have ever tasted! Of course, you will find traditional upscale dishes like rack of lamb or duck breast but add a gorgonzola cream or gorgonzola polenta and we’ve just crossed the line from ordinary to extraordinary! You know what else you can expect? A Raw Oyster Bar! That’s right, the only one you will find in Blue Ridge. You can choose classic on the half shell oysters or if raw is not your thing, they can be prepared Rockefeller style. On Wednesdays and Sundays, you can select the Three Course Dinner Special. For either $19.99 or $26.99 you can enjoy an appetizer, main course, and dessert! Oh, and we’re not done yet. Saturdays and Sundays now feature a decadent Brunch menu. From 12pm – 4pm you can feast on Crab Cake Benedict or Corned Beef Hash, but the Chicken and Red Velvet Waffle is so good it’ll make your tongue jump out and lick the eyebrows right off your head! 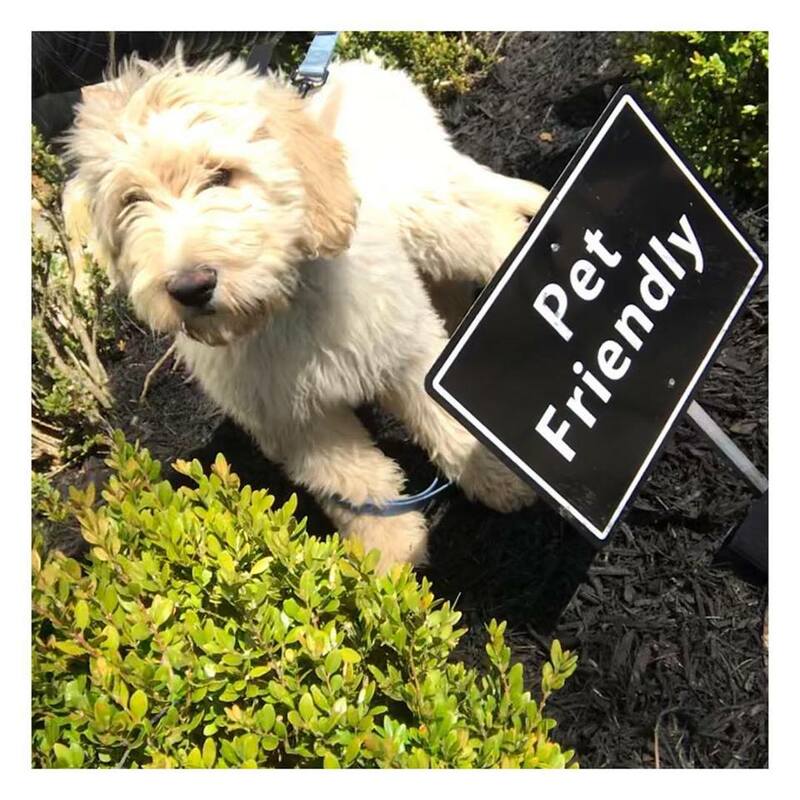 Dine on the Black Sheep’s Pet Friendly Patio! The Black Sheep features not one but two bars to enjoy craft cocktails, beer, and wine. In fact, their wine cellar is so superb that they have been recognized by Wine Spectator for their impressive selection of vino. Both the owner, Brandon Lofton, and the General Manager, Patrick, are sommeliers and can help you pair the perfect bottle with your menu selections. Have you heard of the Blue Ridge Lavender Smash? 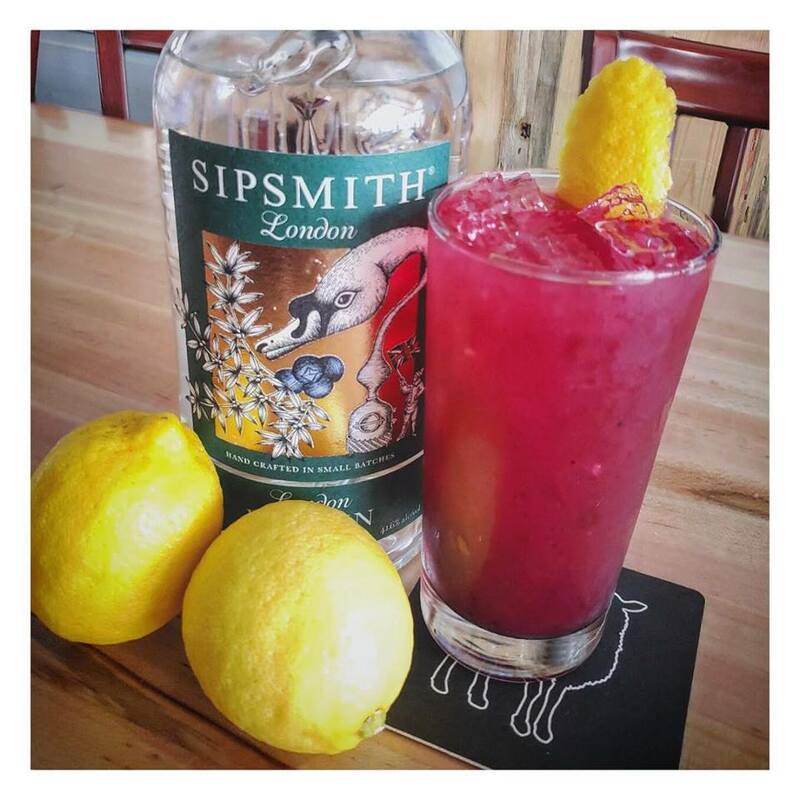 Made with fresh blueberry, lavender, lemon & Sipsmith London Dry Gin, this refreshing cocktail is the hit of the season! You can order one at the inside bar or step out to the patio and enjoy an adult beverage on the largest outdoor bar in Blue Ridge. 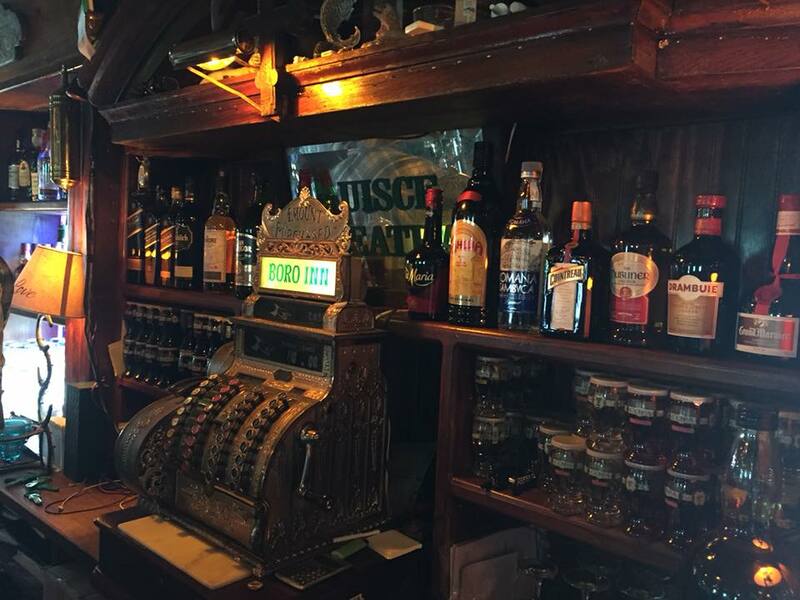 Here you can take in the sights and sounds of Downtown Blue Ridge while sampling the Bar Bites like Truffle French Fries or Tuna Nachos, watching the game, and chatting it up with both old friends and new. 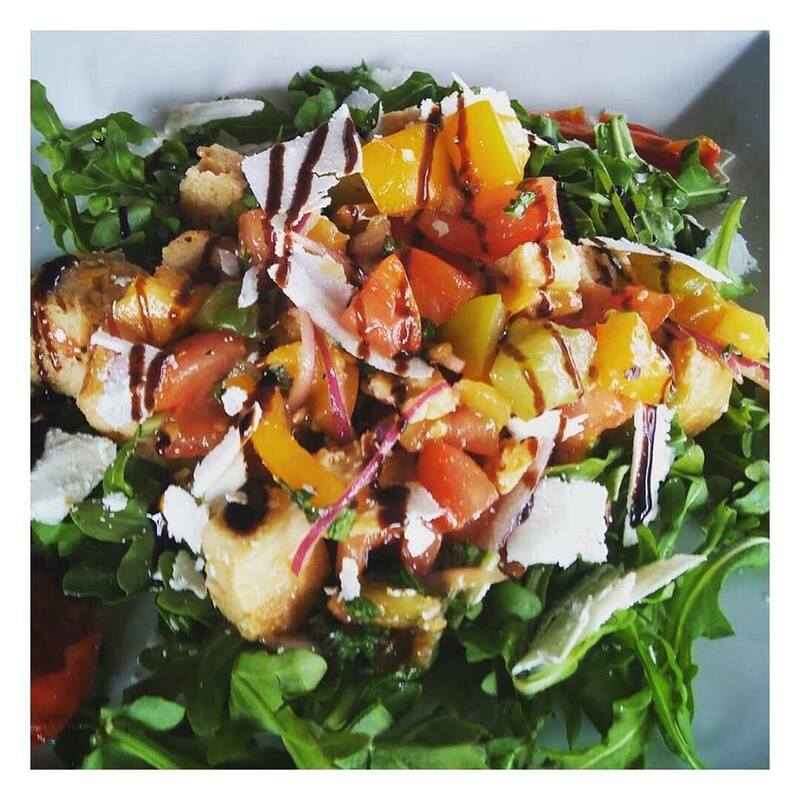 The Black Sheep has been historically known as a place to go for special occasions and while that is still true, their mission is to cater to the every day patron while making each dining experience special. Speaking of catering, you don’t have to be onsite to enjoy the gourmet flavors of The Black Sheep. Treat your corporate partners or family and friends to decadent eats for your meetings or festive celebrations. 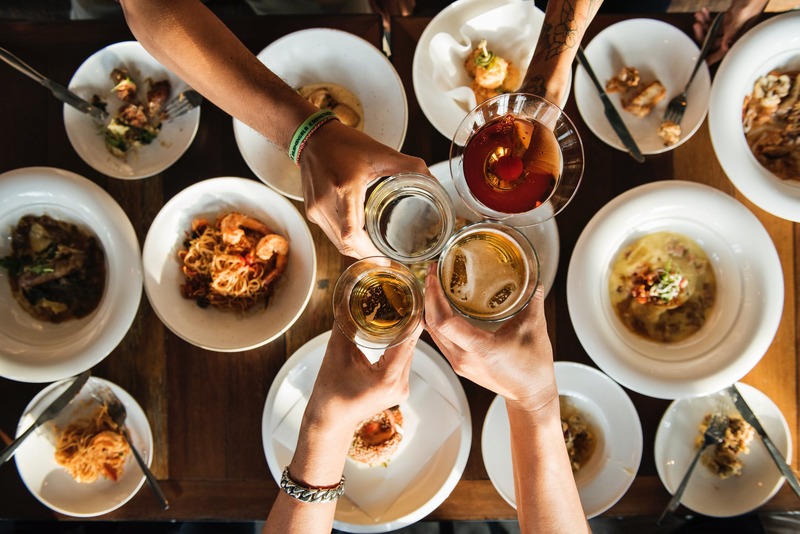 If you prefer the ambiance of the restaurant, you may choose to make use of one of two private rooms – The Wine Room or The Library Room for large parties, banquets or special events. Photo courtesy of Candy Murdock-Hagerman’s Birthday Celebration! Since we’re talking about events, The Black Sheep likes to mix things up and keep fresh ideas flowing along with their fresh cuisine. Last summer they premiered their Outdoor Movie Nights on the front patio under the big oak tree. This year not only will they host Movie Nights, but they will also add Yoga on the Patio. Just picture this: Brunch, Mimosas, Bloody Mary’s, and Yoga. Oh yeah! Keep an eye on their Facebook and Instagram pages for all the latest happenings and upcoming events. Deep in the bayou of Louisiana, a young chef took his passion for Cajun cooking and restaurant management to work for a large restaurant conglomerate in Southern Florida. By chance, Brandon Lofton found himself in an airport in Puerto Rico making conversation with a beautiful corporate executive, Ashlee, also from the Ft. Lauderdale area. Eventually they would marry and purchase a vacation home in the Blue Ridge Mountains. 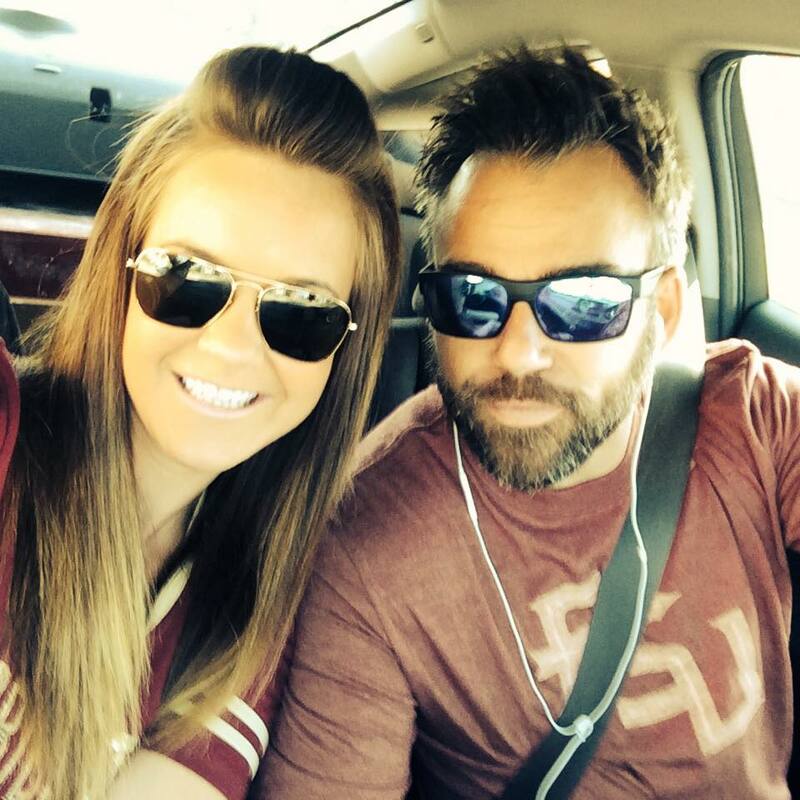 Brandon and Ashlee love the outdoor life – hiking, biking, and boating, but after one fateful trip, the whole game changed. The Lofton’s went back to Florida and made the decision to leave Corporate America, become entrepreneurs, and make the move to be full time mountain residents. If you ask the owners of The Black Sheep if they made the right move, you will get an unequivocal..YES! It’s the best decision they ever made. They love being a part of the Blue Ridge community. They also love having the great outdoors so accessible and all the great people they get to meet along the way! 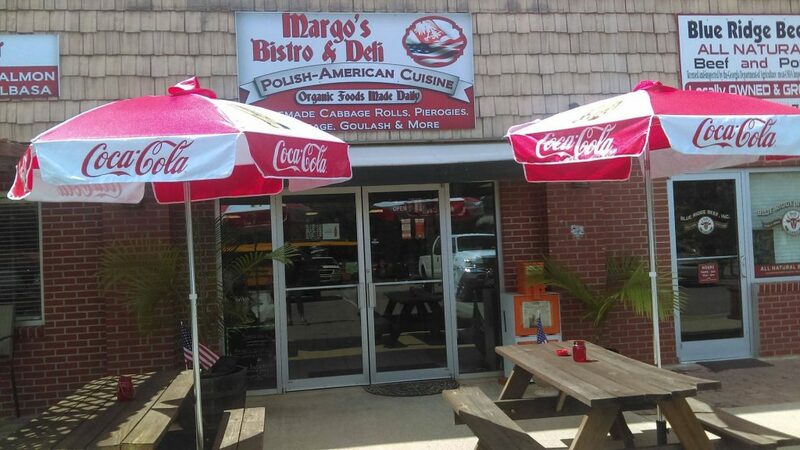 After settling into the mountain lifestyle and getting his restaurant where it needs to be, Brandon wanted to be able to showcase his Cajun side. In partnership with his GM, Patrick, Lulu’s Gumbo Shop can now be seen in their branded tent around town at festivals, during special events with partners like Grumpy Old Men Brewing, and at private events like weddings. Lulu’s specializes in chicken & sausage Gumbo and Jambalaya – a shrimp and crawfish combination, made from old family recipes straight out of LA. Ashlee has also become a certified yoga instructor. Her business, Yoga Over Blue Ridge, is a mobile yoga studio. She offers private instruction and lessons and destination yoga classes. These are perfect for Girlfriend Getaways, Bachelorette parties, or any private yoga party. Recently she has partnered with Bear Claw Vineyards for a Namaste & Cabernet class. Yoga class + wine tasting? Yes, please! She’s also partnering with local breweries for Bend & Brew events. That’s right, yoga and a flight of beer! Keep an eye on her social pages to find out about future events. 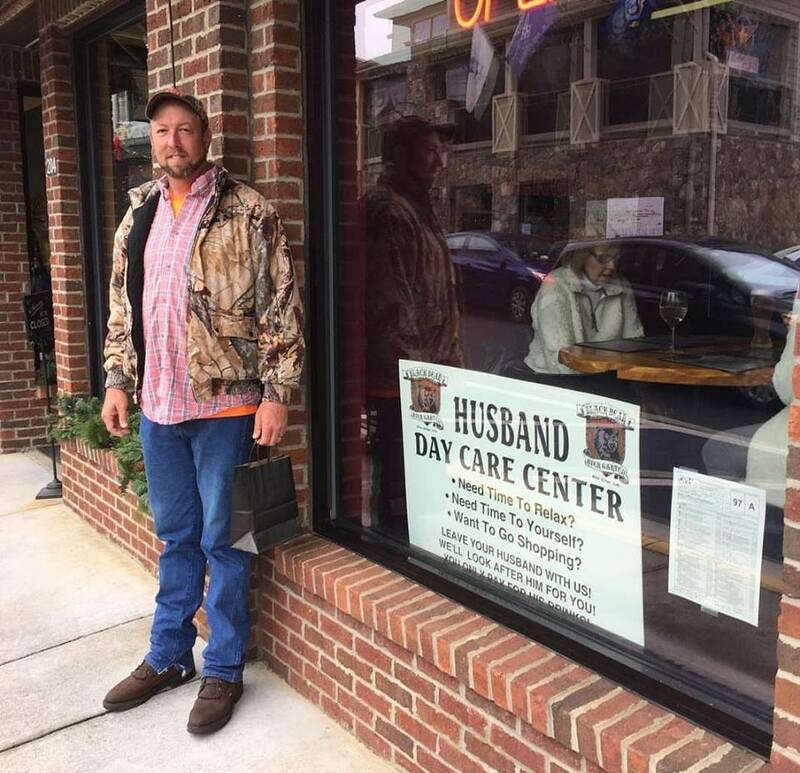 If all of this wasn’t enough, the power couple recently purchased Blue Ridge Brewery in downtown Blue Ridge. Located less than a quarter mile from The Black Sheep, Blue Ridge Brewery is located at 187 Depot Street. You can look forward to new beers crafted by an expert brew master, a new menu designed to delight the taste buds, and a stellar lineup of live music and events! 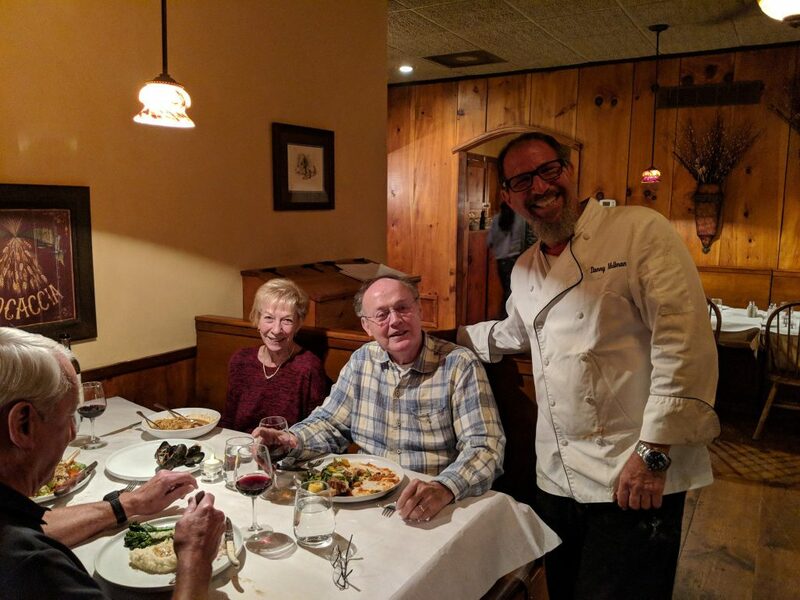 A new menu was just released and includes amazing dishes like an heirloom tomato Panzanella salad and seared diver scallops with lemon risotto and smoked tomato coulis. 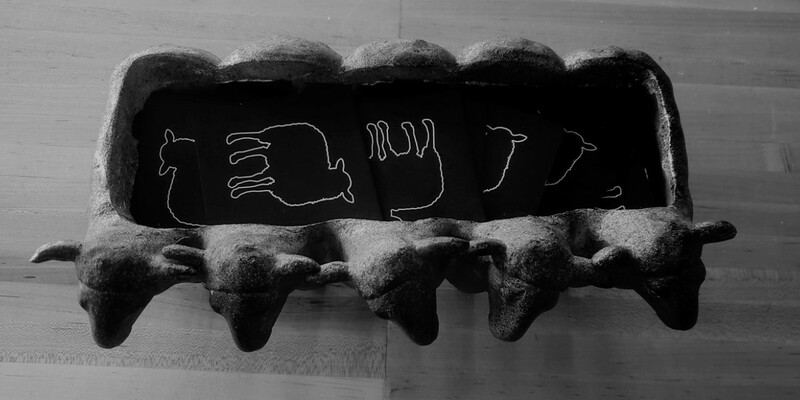 If you haven’t yet been to The Black Sheep Restaurant, what are you waiting for? Put it on the top of your must do list. If you haven’t been in a while, you need to come back and check it out. The vibe is comfortable and not pretentious, the food is on point, and the atmosphere will make this your favorite downtown spot. If you’ve been there recently, then you know what’s up! As a special treat just for Escape to Blue Ridge Fans, The Black Sheep Restaurant is offering one free appetizer per table if you tell your waiter that you are the “Black Sheep of Your Family”. How cool is that? Now don’t be sheepish, make your dinner reservations today! Nestled in the foothills of the Blue Ridge Mountains you will find the most delightful winery to check out – Bear Claw Vineyards. Owned by Kevin & Michelle Swim, these Atlanta natives moved up to the mountains six years ago for a slower paced life. Little did they know that a whole new adventure was about to begin. Interestingly enough, the temperate climate and the rich soil quality in the North Georgia Mountains are ideal for grape vines to prosper. So what better idea for the Swim’s than to begin planting a vineyard and prepare to open a tasting room. With the help of family and some close friends, Bear Claw Vineyards was born! Open seven days a week, you can sit back, relax, and drink wine Sunday through Thursday from 12-6pm and Friday & Saturday from 12-8pm. Kevin heads up the winemaking and boy does he have a talent for producing quality blends. 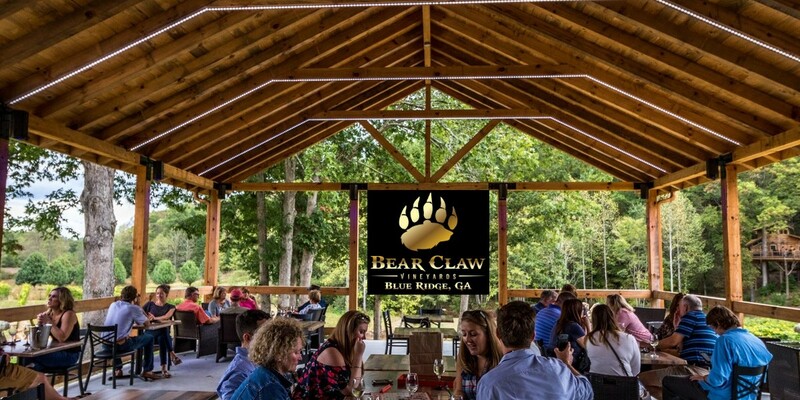 In fact, just recently, five Bear Claw wines were entered into a Georgia Wine competition. Each wine received a medal, and two of them were gold – the Vidal Blanc and Chardonnay (stainless). While these options are fabulous, we highly recommend you try the Dreamcatcher. This Cayuga White is a blend of Schuyler and Seyval Blanc. It is light and refreshing with fruity notes. If red wine is more your style try their Cabernet Sauvignon. As we type this, a new red is about to be bottled out of the barrel, so you will have to come try their new yield. Bear Claw Vineyards is welcoming for every member of the family, both two legged and four. Well behaved pets are welcome and there are plenty of games to keep the kids busy while you catch up with your friends and family. Soon, the kiddos will delight with the addition of gypsy vanner horses. The majestic animals will remind you of Clydesdales with their beauty but are much smaller in size. If you or your littles get hungry while enjoying the winery, light snacks like cheese, crackers, and chocolates are always available to purchase. On Fridays you can check out a food truck that they bring up for your dining pleasure. Every Saturday and Sunday you can enjoy live music on the patio. Local talents like Chip McCain and Jeannie Caryn will add to your afternoon ambiance. Larger names like the Indigo Girls and the Marty Ray Project have also performed at the vineyard. Coming up on Saturday, October 27th you’ll be in for a real treat with Confederate Railroad. Opening for the CR are Steven Phillips & The Midnight Express and local favorite, the Gregg Erwin Band. Tickets are still available and are only $19! There is not a much more stunning venue than a vineyard wedding. Small or large, Bear Claw can accommodate your weddings, birthdays, and anniversary celebrations. Intimate ceremonies can be held at the winery and elaborate ceremonies can take place at their newest venue – The Club at Bear Claw. Formerly known as the Blue Ridge Swim & Tennis Club, the property consists of a swimming pool, four tennis courts, and a large reception hall. Onsite event planner, Tonya Ross, is available to help you with all of your event coordination.